The Great Debaters Contest (GDC) is an initiative of the Footprints Africa Foundation. The platform is managed and produced by Arimus Media Limited with coordination from the Jamhuri Peace Foundation. This high school program seeks to provide a unique platform for young people to analyze issues of importance to society and to discuss debate and lobby on these issues, with a view to contributing towards a more desirable world. Since its launch in September 2010, GDC has grown tremendously from 4 schools debating under tents on the dusty grounds of Olympic High School in Kibera to 14 schools in 2011, over 32 schools participating in 2012, 64 schools in 2013 and more than 120 schools in 2014. This year GDC has registered more than 320 schools across the country. 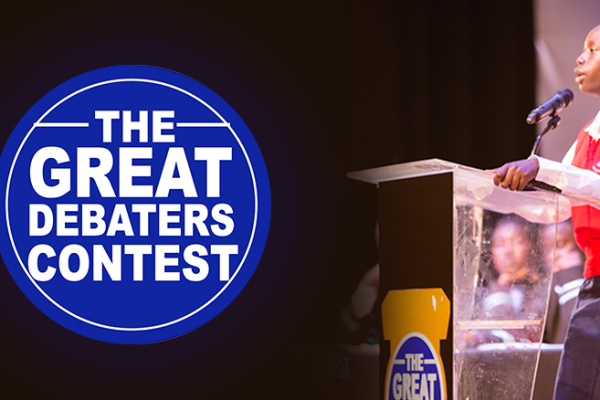 In October 2012 the Great Debaters Contest television show started airing on Citizen TV. The show has received incredibly positive feedback from students, teachers and the general viewing public. In 2014 this platform is expanded to various counties with regional heats and in 2015 GDC is set to hold events in 10 regions across the country, enabling many schools that were unable to travel to Nairobi to participate. The growth of GDC will also see the television show move from a single weekly episode to five episodes weekly from Monday to Friday at a prime time of 6.20pm on Kenya’s national broadcaster KBC. In 2015 GDC Season 5 goes regional in partnership with Kenya’s National Broadcaster KBC, with a vision to have significant impact across all the regions of Kenya through engaging, enlightening and eye opening debates. GDC will conduct over 160 debates across the country and each of these debates will be produced into daily television shows running at 6.20pm from Monday to Friday. The show starts Season 5 on KBC on the 1st of June 2015. KBC is Kenya’s pioneer broadcaster with a long and rich heritage in the industry. Its mission is to transmit objective, informative, educative and entertaining content to the public through high quality broadcast. The partnership with GDC goes a long way in achieving this and we look forward to a long and productive engagement with KBC. 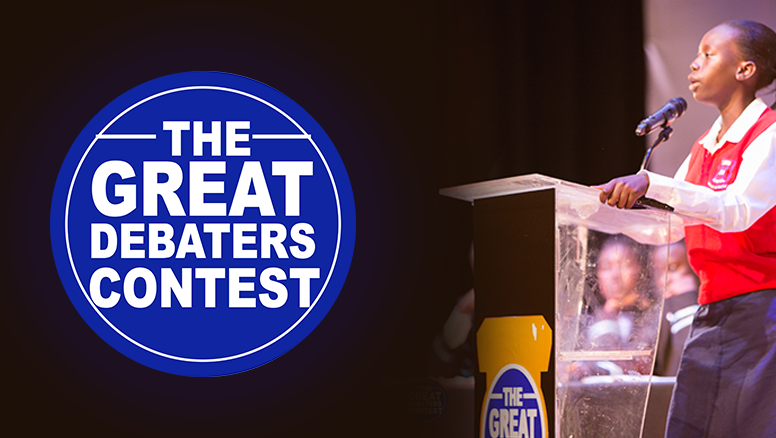 Remember to tune in to KBC to watch Great Debaters Contest from Monday, June 1st 2015.